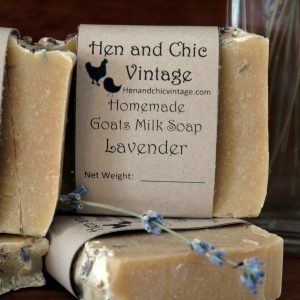 ll the soaps offered by Hen and Chic Vintage are handmade by using cold process soap making techniques and cured for 4-6 weeks. 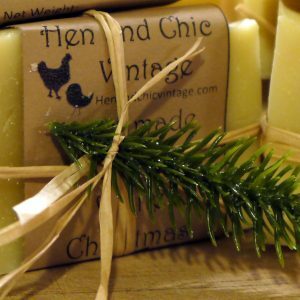 In cold process soap making we retain all of the naturally occurring glycerin and fats to provide moisturizers and beneficial properties of the oils. 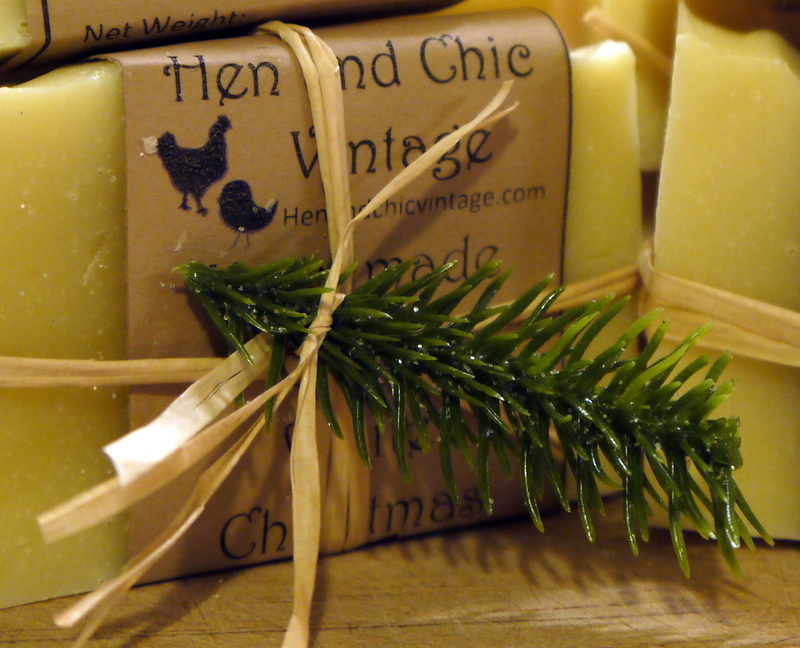 Each soap is free of any synthetic colors, dyes, or harmful preservatives. 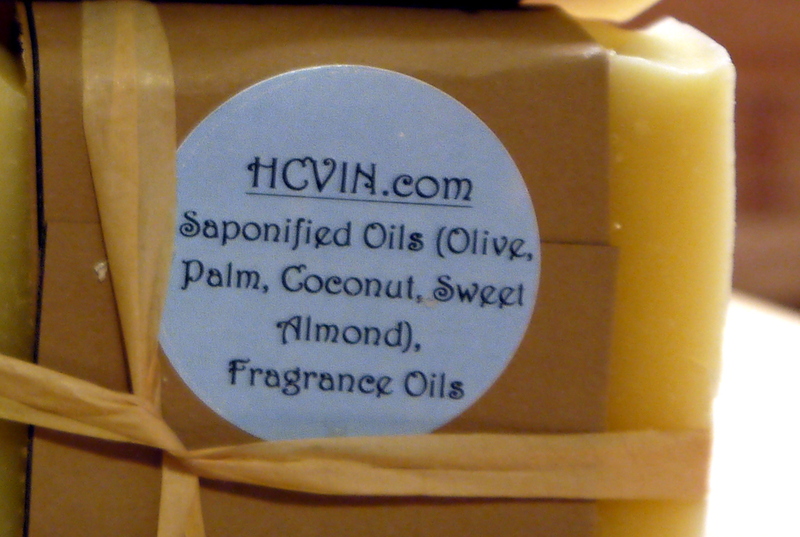 The color of each soap is a reflection of the oils and other ingredients used in the soap making process. 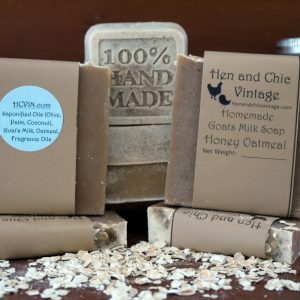 We use as many organic premium products in our soaps as we can. 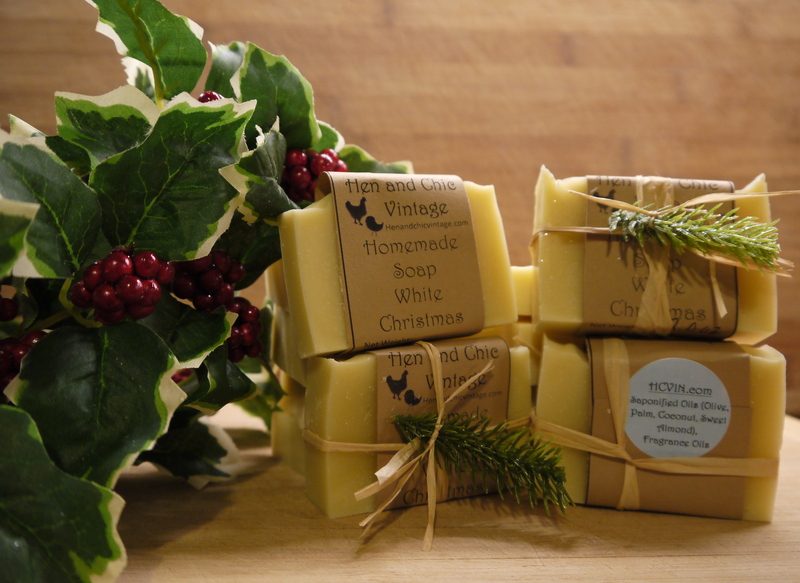 Before you use your homemade soap, be sure to store it in a dry area with air flow. This will maintain the hardness of the bar and greatly increase the number of uses. During usage, keep the soap out of any standing water and use a dish with proper drainage. Our Olive Oil is certified organic by the USDA. Our Olive Oil is unrefined, meaning that absolutely no chemical or heat is used to extract the oil from the fruit. This means that the oil is unaltered, allowing it to retain its strong olive scent, and deep greenish golden color. 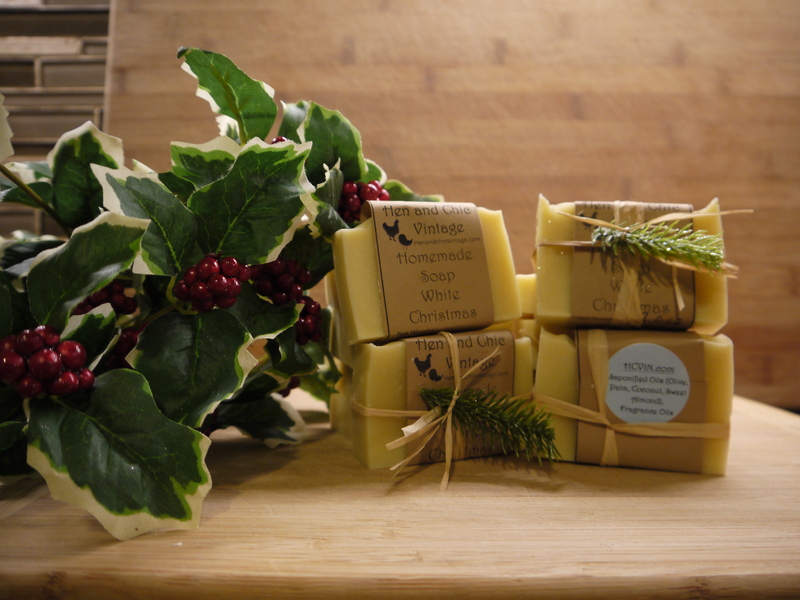 Palm oil provides a natural way to make the soap harder and a richer lather. 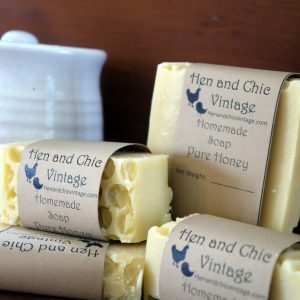 At Hen and Chic Vintage we only purchase our oils from ethical producers around the world to ensure the absolute best quality for our customers. 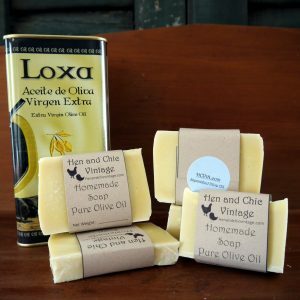 Because our soaps are intended for external use only, we use high quality fragrance oils to provide you with the best value and smelling soaps. 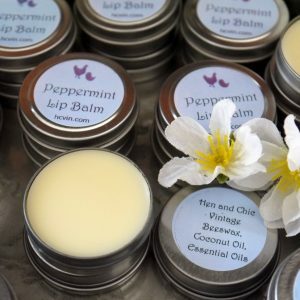 All of our oils are custom blended by a team of perfumers that are industry veterans with the knowledge and experience to ensure quality and consistency that is unmatched in our opinion. Our oils are not diluted or used with cheaper carriers. 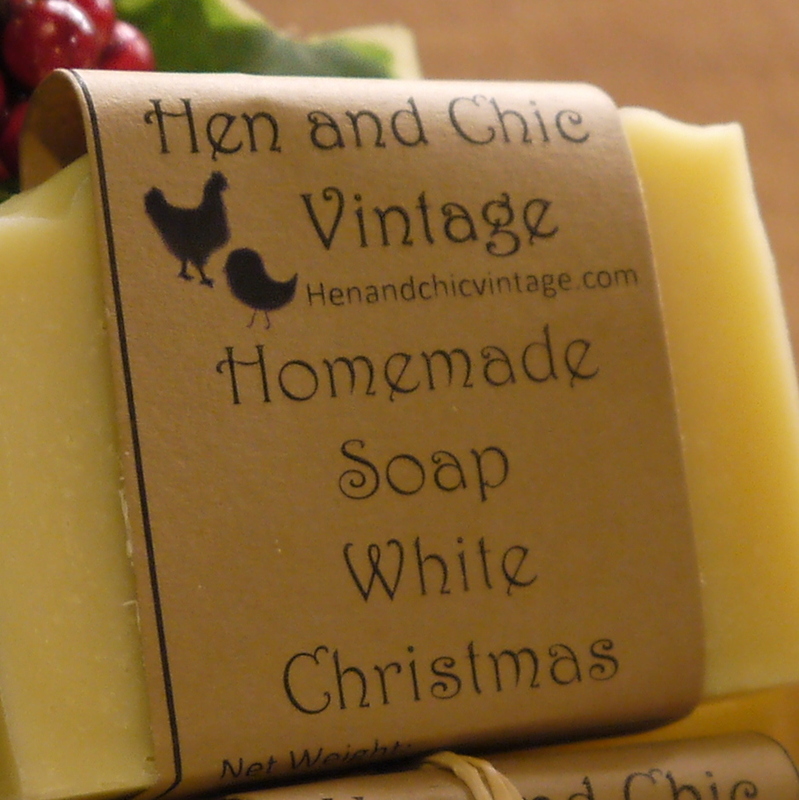 NOTE: Hen and Chic Vintage tries to accurately present the soap color and appearance in our pictures, however, please bear in mind there can be differing colors in different batches. 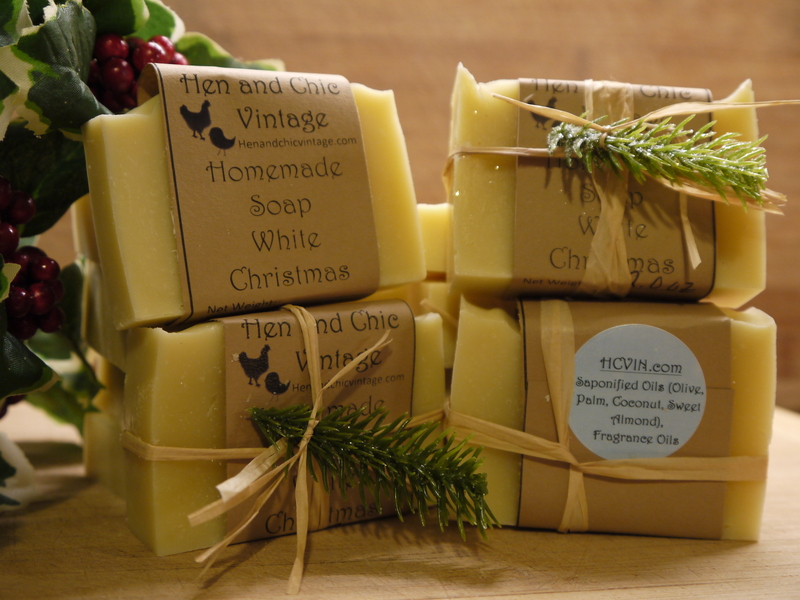 We price all of our soaps by the Oz. 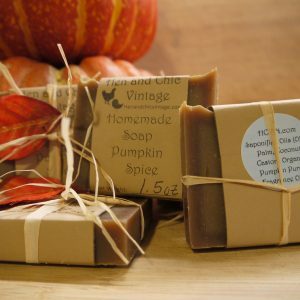 Because of the drying process and hand cutting process, all of our soap can vary slightly in size. Our bars are usually close to 2.0. 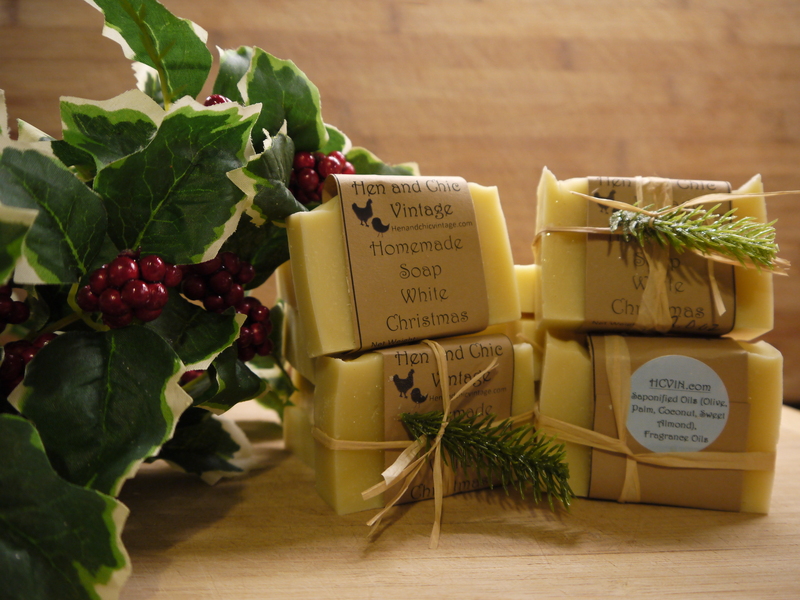 We weight every bar of soap and identify the oz per bar and give you the best value and variety.